Annaliese won the BE100 at Dauntsey finishing on her dressage score of 26.5 and she has now stepped up to Novice and had two pleasing runs at Berkshire College and Aldon. Imbroglio was placed in her last two runs of the season finishing 7th in the IN at Pulborough and 10th at Aldon in the Intermediate jumping a double clear at both events. 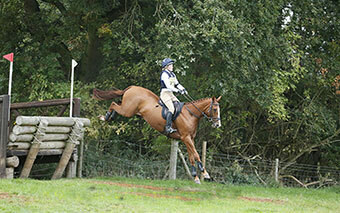 Persiflage finished 5th in the IN at Dauntsey.